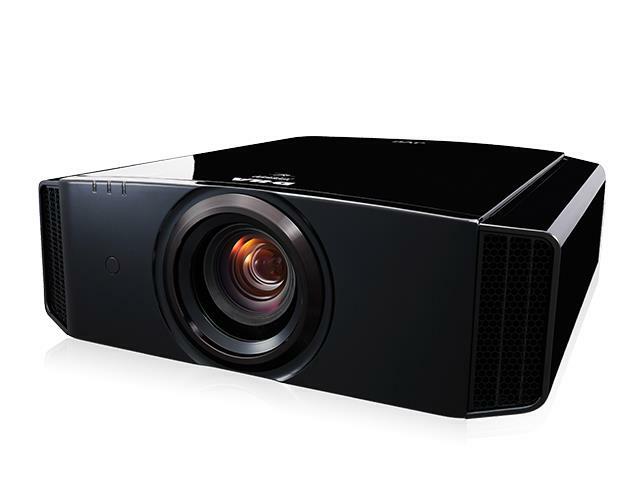 JVC shaking things up with a new video projector range. They are all D-ILA 1080P 3D video projectors. “Super Resolution” mode, “Multiple Pixel Control” (MPC) (algorithm) processing, a “Clear Motion Drive” (CMD) interpolation system and a “Motion Enhance” blur reduction mechanism are all included in the products. They feature a double zoom, focus and a motorised shift lens (±80% vertical, ±34% horizontal) as well as a new “Low Latency” mode to enable improved input lag for the latest generation of 4K/ HDR games. The brand has again opted for the e-Shift 4 system for 4K display wobble modulation throughout its new home cinema video projector product range. In addition to HDR10 compatibility, Hybrid-Log Gamma (HLG) HDR format support is provided. At low lamp mode, the models provide a sound level of 21dB. The JVC home cinema models produce clear and crisp video playback as well as excellent image definition and a display that responds both rapidly and efficiently. What’s more, the connector features 2 HDMI 2.0a inputs for improved quality (4K60p, HDR, HDCP 2.2, and Deep Color) with a 12V Trigger output and two connection ports: one RS-232 port, a 3D Sync port and an RJ45 plug. The perfect ingredients for film viewing. The JVC D-LA “X7500” and “X9500” both possess THX 3D, ISFccc certification and the associated Image modes in contrast to the “DLA-X5500” model. JVC DLA-X5500 features luminosity of ANSI 1800 lumens and a contrast of 40,000:1 the lowest of the range, next follows the JVC DLA-X7500 model at 1900 ANSI lumens and a contrast of 130,000:1 and leading the pack is the JVC D-LA X9500 model with luminosity of 2000 ANSI lumens and a contrast of 160,000:1. In the instance of a fault to your JVC video projector lamp the retailer JustProjectorLamps.uk is N°1 for the distribution of projector lamps offering a wide range of original JVC bulbs and original insides for greater value for money.